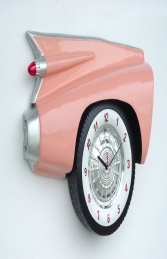 A classic car has been made into a classic feature for your interior wall. This front end of a Cadillac car can now help tell you the time! This clock is full of detail and is great at keeping you on time! 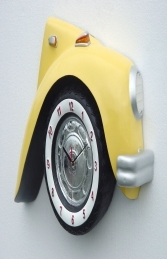 This model is ideal for adding that something extra to your home, shop, restaurant or car garage! It would fit perfectly with any of our other models possibly something from the American series. You could even send it as a gift for somebody who loves cars.